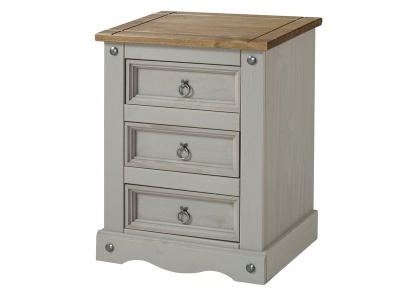 Timeless grey three drawer bedside cabinet with a warm antiqued pine top. Metal handles, studs and hinges add to the charm of the piece. 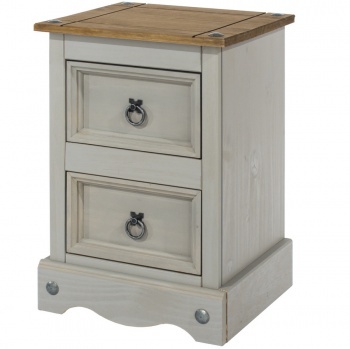 Natural grains and textures of the real wood show through the grey wax wash finish. 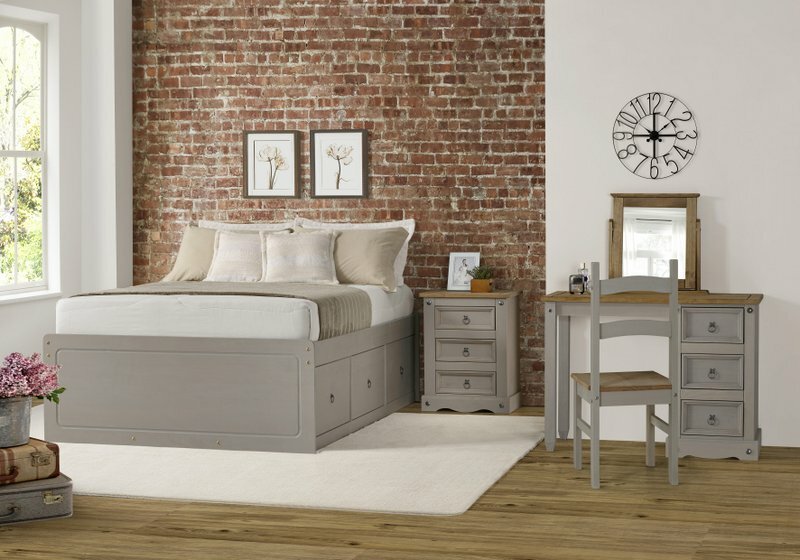 Designed to last with high quality construction methods. 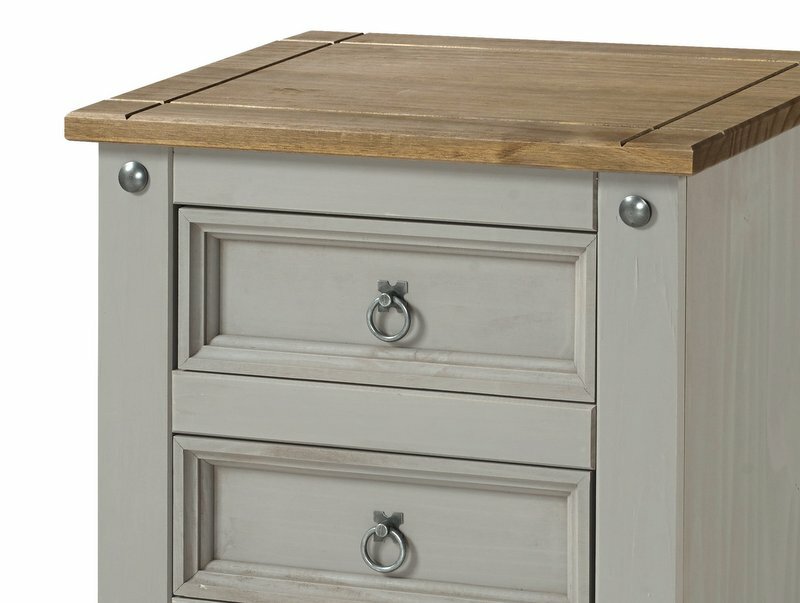 Featuring dovetail drawer joints and natural wood interiors. 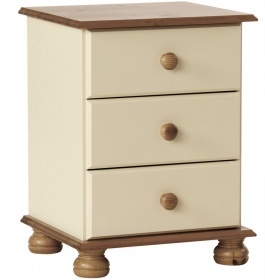 Constructed from solid pine with plywood cabinet backs and drawer bases. Colour: Grey wash wax and antique pine wash.
Part of our grey and pine bedroom furniture collection.